Welcome to my Build Your Own Homeschool Library series where I'm sharing with my readers some of my favorite books from my homeschool shelf. Please note that all the posts in this series contain my own opinions, and I have not been compensated by any publishing company for any of the content. Written for both children and adults in the mid-1900's, Genevieve Foster's set of World books are perhaps my favorite history books on our shelf. Her horizontal approach to history — exploring the events around the world in a specific range of time instead of following only one civilization — makes the story of history all the more real and memorable for readers. Other history textbooks tend to present history in isolation, detailing the happenings of a particular region or civilization by itself, ignoring the influence of events occurring in other parts of the world at the same time. But in reality the events in history are decidedly interconnected. Foster realized this, and she has written a collection of world history books that illuminates the story of history far better than most history books I've read. Foster's Word books have been used and loved by educators for decades. 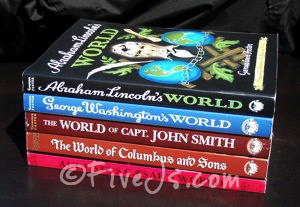 Several of her World books were nominated as Newbery Honor books, they've been translated into numerous languages for use around the world, and (as an interesting point of fact) George Washington's World was used by the tutor of the Crown Prince of Japan to teach history to his charge. Her books have withstood the test of time, having been written over half a century ago, and they remain an excellent resource in the teaching of history. Both Beautiful Feet Books (the publisher we use for history) and Sonlight use a number of Foster's books in their curriculum guides for world history. But the books can also be read alone. 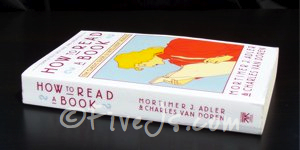 They make excellent read alouds and even very young children can understand the stories. View a subject-by-subject list of all the posts in the Build Your Own Homeschool Library series here. We really liked those books as part of Sonlight. They could definitely be used by themselves or in conjunction with other books or curricula. I like her way of telling stories and fitting history together. I'll have to take a look at these books – a few friends are homeschooling, and they'd probably appreciate a recommendation. The Lincoln book intrigues me. One of things students of yesteryear did was memorize the Gettysburg Address, which in my mind is a very useful exercise, inasmuch every word in the Address counts. I wonder if the book pushes people just a little bit to go back to the primary sources. Do you know of any reading plans, study guides or lesson ideas using JUST the Foster books? Thanks for your time. I don't know of any that are solely for the Foster books, but the Beautiful Feet study guides use the Foster books as the backbone of many of their studies. We've used several of their study guides with great success and they provide the reading assignments and comprehension questions for the Foster books in addition to several other related books.